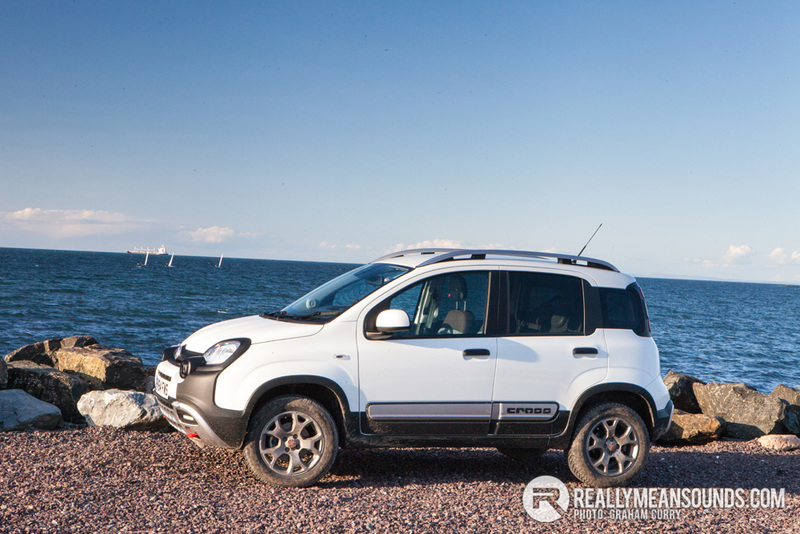 When I first heard of the Fiat Panda Cross, I got kind of excited as it reminded me of a car that lived in my street as a child, an early 90’s Panda 4×4. It was one of those cars that most laughed at, but my young eclectic taste kind of fell in love with it and growing up I learnt how fun and capable they were when it came to some rough terrain. 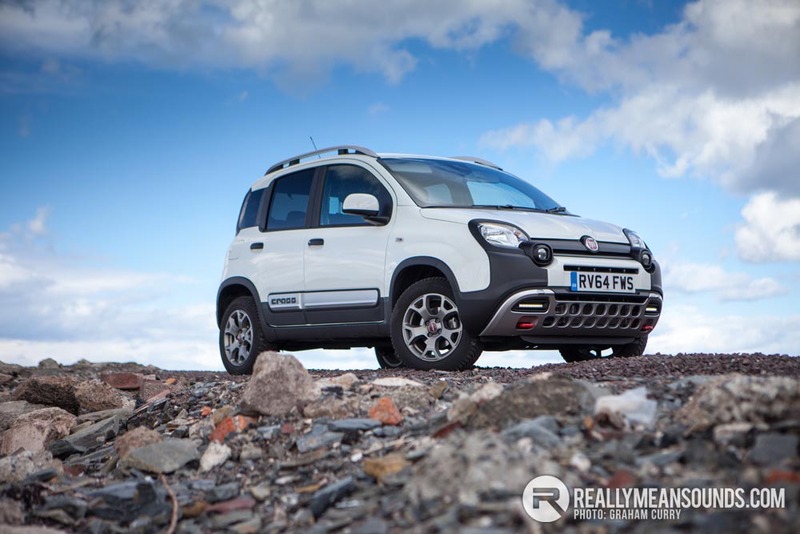 The modern Panda has been available in various guises, from a 100bhp sports type model to the tax loving city car with small engines and immensely low emissions and indeed as per its predecessor in 4×4 guise. 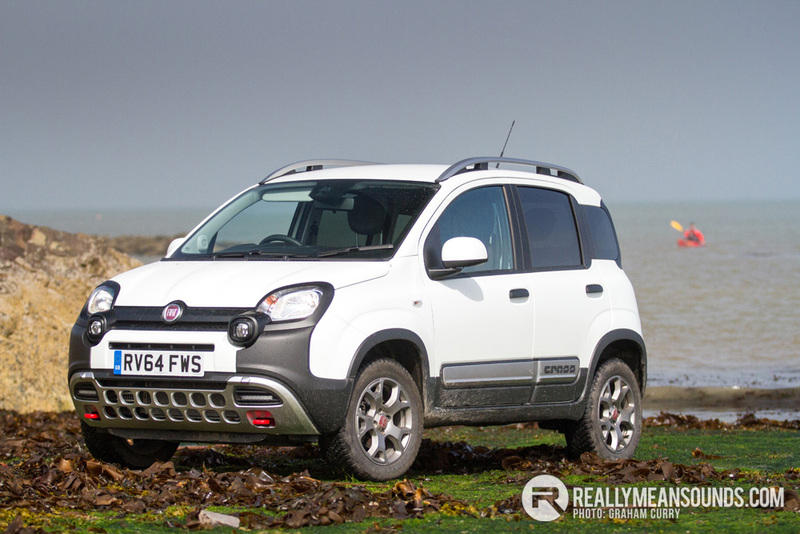 These latest 4×4 models are just as renowned for their ability and agility off road as the model of old, however this wasn’t enough to keep the taste buds of the mad Italians happy and the blue pill used for the Fiat 500X must have fallen into a Panda 4×4 on its way around the factory. Not only did this pill, as featured in a superb advertising campaign for the 500X increase all of the proportions of the 500, it had very similar effects to the Panda also by increasing ground clearance, wheel size and width as well as tyre profiles, it also increased the width of the Panda with arch extensions and side moldings which double as protection. 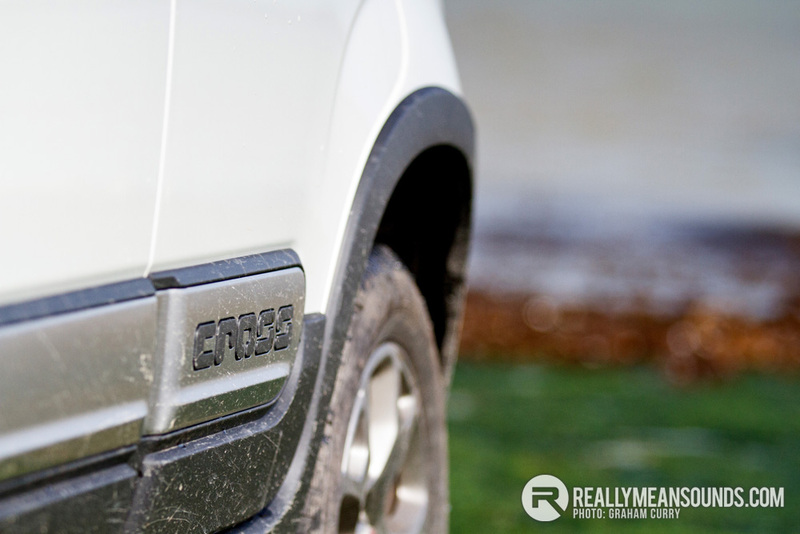 The Panda Cross also received roof bars and redesigned lights along with bumpers that differ to the 4×4 Panda, these offer some protection and have a greater ground clearance for help when off the beaten track. Looks wise I think it is fabulous, a really funky little masterpiece that blends what is essentially a city car into something that is SUV in a way we don’t expect, in a way that is not traditional and in a way that was thought of, outside the box. Brave and Bold styling but hugely practical, both in the city, on the weekend active pursuits and also off the tarmac. It looks much bigger in real life due to its styling than it actually is. Inside didn’t escape the “funky pencil” on the designer’s easel sketch either as it has seats stamped with “cross” featuring brown eco-leather bolsters which match the brown eco-leather door card trim and compliments the copper/brown toned dash and centre console just perfectly, it shouldn’t work, but it really does and yet again the Italians show how much style they have! There was, as expected in all new cars a radio and easily accessible controls for heating and said radio, but the Cross also comes with USB connectivity, Bluetooth, steering wheel controls and a sat nav station on top of the dash as well as heated mirrors, the warmest heated seats I have ever sat on and split rear seats to name some of the equipment that is included as standard. 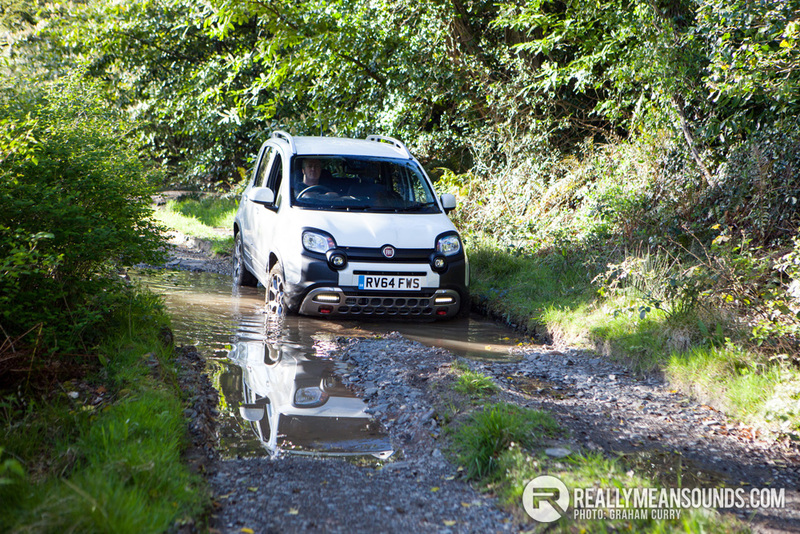 During the week that I tested the car, I used it properly; carrying a lot of camera equipment about (the boot was surprisingly accommodating), watched a boat race whilst enjoying a fish supper from the very comfortable driver’s seat and took it to Ireland Off-Road Experience within Clandeboye Estate to test its claimed off road ability. 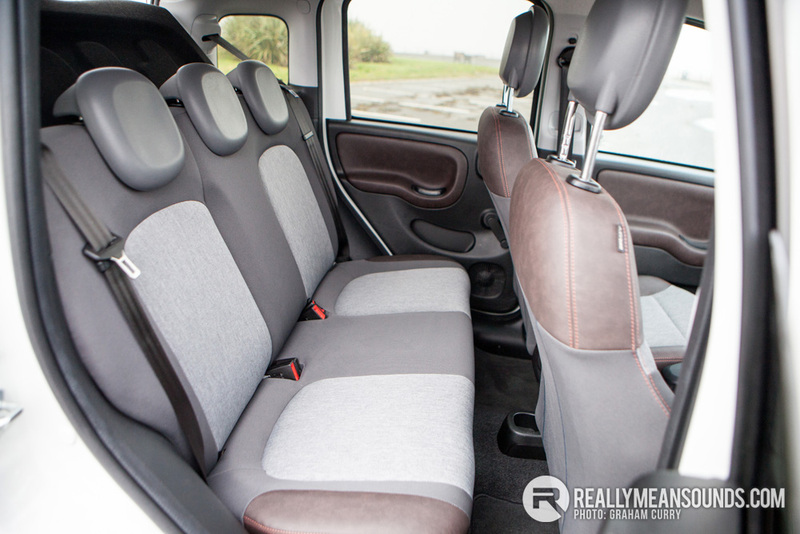 Throughout all of this I found the Panda Cross comfortable with plenty of room inside, even the rear seats would offer average comfort for two adults on a commute or loads of space for two kids on a long journey. Off road the Cross was cracking and once we got used to the small level of ground clearance and stayed on top of the ruts rather than in them all was well and it coped with varying challenges including hills and floods as well as cruising without issue over a very wet hill that most large all terrain vehicles would have bogged in to. 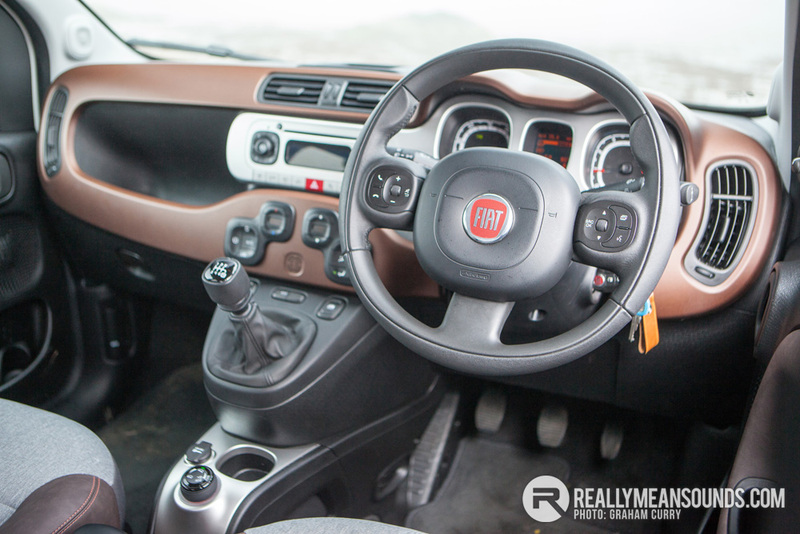 There is a three mode dial to control what terrain mode you wish to be in, these are Auto, Off-Road and Hill Decent. 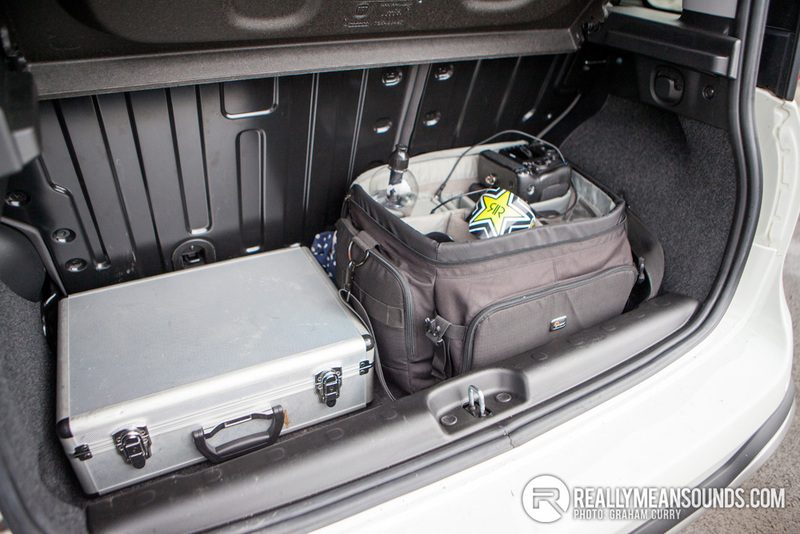 In Auto mode and on the road, around 98% of the drive goes to the front wheels and when the car looses traction the centre diff will transfer power to the rear and in extreme cases is capable of putting all the engine torque to the rear if required. In Off-Road mode, 4×4 is activated up to 30mph and the electronic diff locking is engaged to ensure that it can respond to any slippage of wheels instantly with the help of the ESC system which is employed to brake wheels that are slipping, thus transferring torque to those with grip. Hill Decent is as you would expect, an aid to safely get you down steep hills with nothing required from the driver but steering. I found that the tyres where awesome on wet slippy roads and especially good in the woods, they are an all-season high profile tyre that absorbed rough surfaces, dispersed water by the gallon and in all honesty shocked me on dry roads as did the agility and chuck-ability of this wee car on the road, it is incredibly nimble and lots of fun can be had. Two engines are available, one a 900cc twin air turbocharged petrol (as tested by us) producing 90bhp with 107lb/ft of torque that was returning mid 30’s to the gallon on my real life test, this petrol engine is mated to a six speed manual gearbox. The second engine is a 1.3 MultiJet II turbo diesel with 80bhp and 140lb/ft of torque with a claimed 60mpg on a combined cycle. 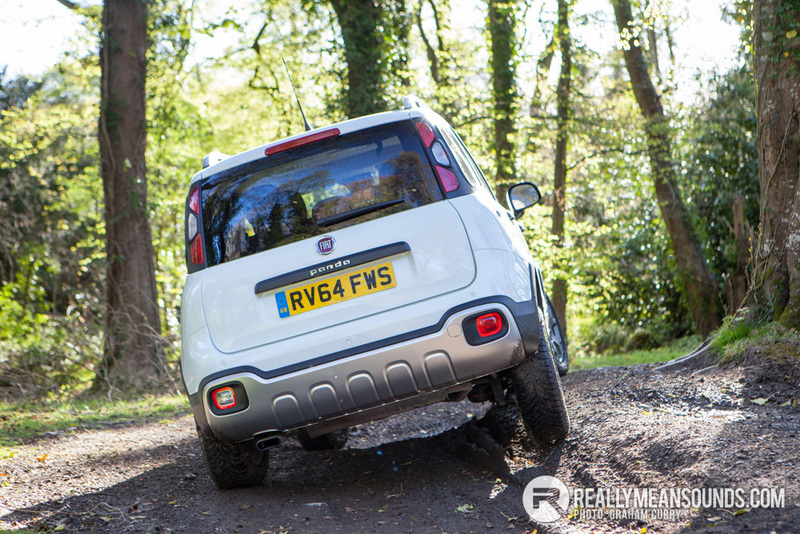 All in all, “funky fun” is the best way to describe this little known, off-road gem from Fiat and I genuinely cannot wait to drive one again, it was so much fun! Superb. Had an '06 panda 4x4 for the last 5 years but just recently changed it for a new shape twin air 4x4, in orange. 60mpg, free tax and very surefooted in the winter, perfect daily driver! | Superb. Had an '06 panda 4x4 for the last 5 years but just recently changed it for a new shape twin air 4x4, in orange. 60mpg, free tax and very surefooted in the winter, perfect daily driver! Twin Air being the 900cc engine as per what I drove? If so, how the hell do you get 60mpg? Theres an old school 4x4 sisley sits at the bottom of my street, still running and still looking awesome! | Twin Air being the 900cc engine as per what I drove? If so, how the hell do you get 60mpg? Awesome, i found the exhaust to snag a little as it hung low, but yes they are so much fun off road, and as they are so narrow you can drive along the peaks of ruts rather than in them :) If i owned one, i'd have an alloy sheet made for the full underside and not worry a thing, Walter at clandeboye took it places his defender would have had bother due to its weight, the panda cross skipped along with a few putts from the twin air in 2nd gear without a single fuss do you mind i i share that image of yours on social media?